​Please contact us for a current rate sheet for our services. ​​English Ivy Farms provides a seamless blend of premier individual care with an easy going environment. Our attention to detail affords us the opportunity to meet the entire needs of each horse so they may blossom into their fullest potential. As a result, “difficult” horses transform into solid citizens under our guidance. ​For each horse, we create a customized feeding program using a variety of Triple Crown Feeds, supplements, and high quality Orchard/Alfalfa hay. Our well ventilated 12 X 12 stalls with interlocking stall mats are cleaned up to twice daily and are thoroughly bedded with low dust shavings. The wash rack area has four grooming bays with individual hot and cold water, minimizing any wait time for bathing or tacking up. Our large turn-out pastures are well established and contain RAMM Flex-rail fencing for optimum safety. Extra services like adding/removing blankets or turn-out apparel, fans in the summer, and holding for the vet/farrier are included at no additional charge. Creature comforts for the rider include many climate controlled areas: two tack rooms, lounge, full bath, laundry room, and office. Our cozy front porch patio is a perfect spot to overlook the ring while staying cool under the fans; our fully lighted ring with all-weather footing allows riding during winter months. And with both barn management and the owner/head trainer living onsite, our horses receive 24 hour supervision throughout the year. ​All boarders are required to take a minimum of once a week lessons and/or have a horse in full training, as well as meet a minimum showing requirement per show season. 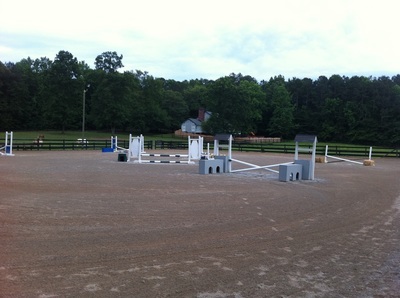 Riders or horses not ready for the show ring may be subject to a monthly non-showing fee. ​All horses benefit from the professional ride, whether it be a “tune-up” of the seasoned show horse or consistent education for the greenie. Training rides are available in individual sessions or as pre-arranged packages. Our lesson program provides opportunities for students of all riding levels and aspirations. Riders without personal mounts are matched to one of our dependable, kind, and patient school horses based upon size, experience, and ability. Riders with competitive aspirations are enrolled in our EIF Show Academy while students with less ambitious goals participate in our Recreational Rider Lesson Program. Students looking for a safe and full riding education with showing goals should enroll in our Show Academy program. Riders participate in lessons twice a week with the expectation of leasing or purchasing a mount within one year and moving into competition on the GHJA and/or USEF circuits. Parent education and involvement is required to ensure safe handling of horse upon ownership, and students must groom/audit 4 shows during the show season. 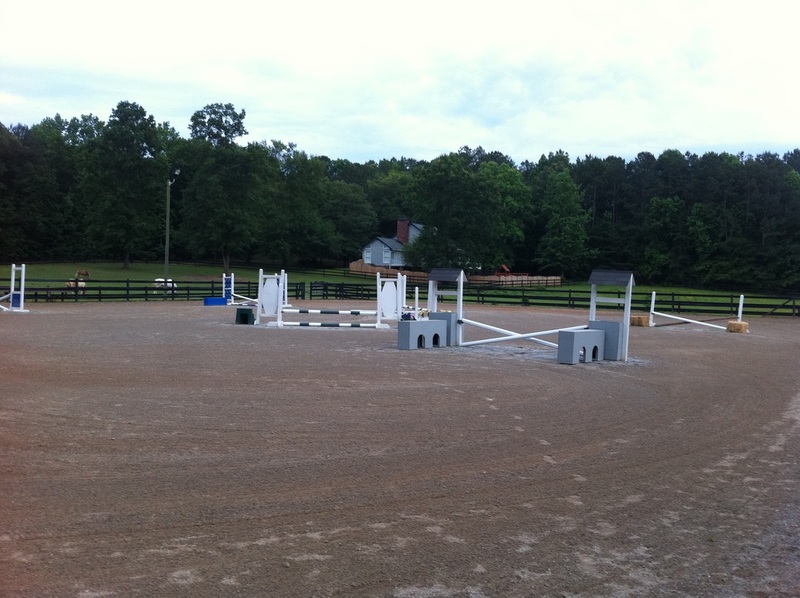 Riders must also participate in both EIF Schooling shows. Lessons are taught as 1 hour privates (Beginners), 30 min privates (Novice-Advanced), or 1 hr semi-private/small group lessons (Intermediate-Advanced). Students looking for a safe and thorough riding education without serious competitive goals should enroll in our Recreational Rider lessons. 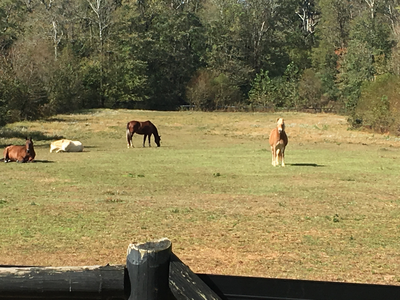 Students are assigned a weekly lesson spot (either private or semi-private) that last one hour in duration, which includes grooming and horsemanship in each lesson. Parent involvement is encouraged but not required; riders must participate in one of our schooling shows each year or pay a non-showing fee. Availability in our Recreational Rider Program is offered on a limited basis. All riders must abide by a strict dress code which includes an ASTM approved riding helmet, paddock or field boots, and riding pants. Riding is a like any other sport in that consistent participation is necessary for growth and learning. Students are expected to attend lessons on a regular basis and to limit the number of absences. Students enrolled in either our Show Academy or Rec Rider program pay a monthly tuition, which secures that day and time every week for that particular student. Tuition is due by the 1st of each month. 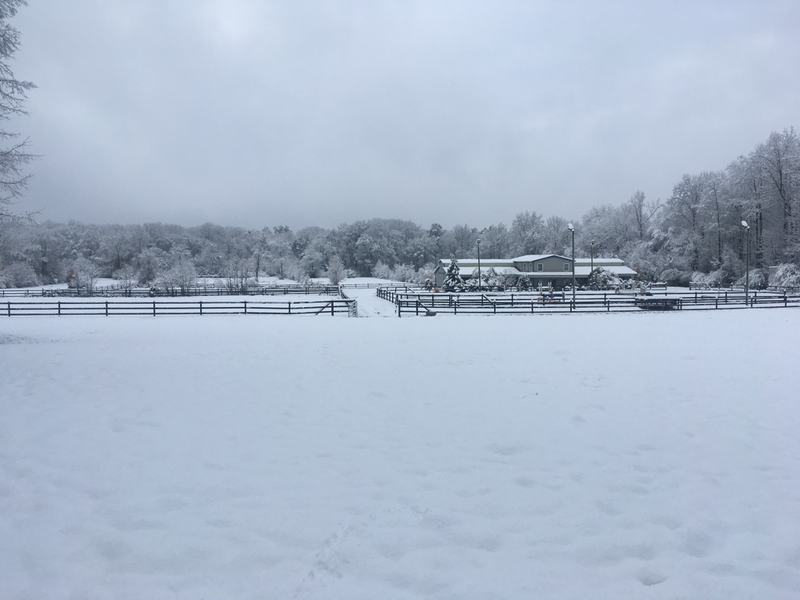 All students on EIF horses will hold lessons rain or shine, and may include horsemanship, advanced grooming and care, and groundwork if conditions do not permit riding. Because students pay by the month (and not a per lesson basis), there are a few months during the year students will take an additional 5th lesson at no additional charge. This is a built in "free lesson" to cover any missed by the student throughout the year. As a general rule, we do not offer make up lessons for student cancelled lessons. Should a student not be attending a lesson during the week, 24 hours advanced notice is requested to adjust our schedule. In the event of an EIF cancellation, such as severe inclement weather (ice, tornado, extreme temperature, etc), instructor sick/personal day, major holidays, or instructor vacation, make ups will absolutely be provided. It is the student's responsibility to sign up (either online or in person) by the due date given. Once the make up period has passed (typically 2-3 weeks after the cancellation) the missed lessons are considered forfeit.